For more than 95 years, the Order of the Arrow (OA) has recognized Scouts and Scouters who best exemplify the Scout Oath and Law in their daily lives. This recognition provides encouragement for others to live these ideals as well. Arrowmen are known for maintaining camping traditions and spirit, promoting year-round and long-term resident camping, developing leaders, and providing cheerful service to others. OA service, activities, adventures, and training for youth and adults are models of quality leadership development and programming that enrich, support, and help to extend Scouting to America's youth. The Order of the Arrow was founded by Dr. E. Urner Goodman and Carroll A. Edson in 1915 at the Treasure Island Camp of the Philadelphia Council, Boy Scouts of America. It became an official program experiment in 1922 and was approved as part of the Scouting program in 1934. In 1948 the OA, recognized as the BSA's national brotherhood of honor campers, became an official part of the Boy Scouts of America. In 1998, the Order of the Arrow became recognized as Scouting's National Honor Society when it expanded its reach beyond camping to include a greater focus on leadership development, membership extension, adventurous programming, and broader service to Scouting and the community. Today, its service, activities, adventures, and training for youth and adults, are models of quality leadership development and programming that enrich, support, and help extend Scouting to America’s youth. 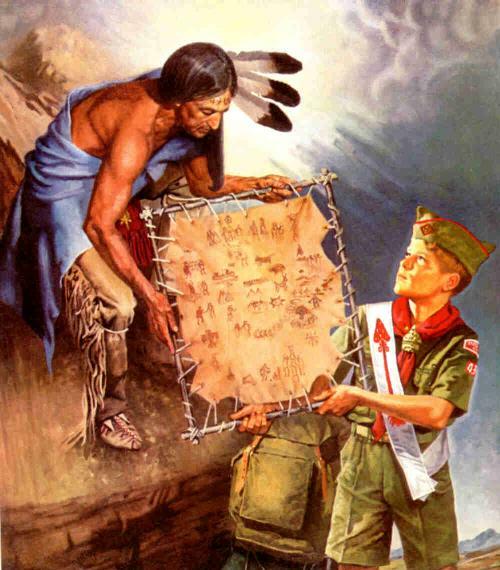 Youth must be under the age of 21, hold the BSA First Class rank or higher, and following approval by the Scoutmaster, be elected by the youth members of their troop or team.